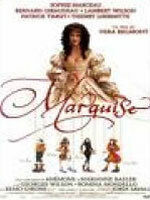 Based on a Noel Coward comedy, this is a story set in 1735 at a chateau outside of Paris. The Compte de Vriac is celebrating with some family friends the newly announced betrothal of his son when an unexpected guest arrives--the Marquise de Kestournel. She has been a mistress to the Compte in the past and when she makes the announcement that she is going to stay with him at the chateau from now on, complications are inevitable.